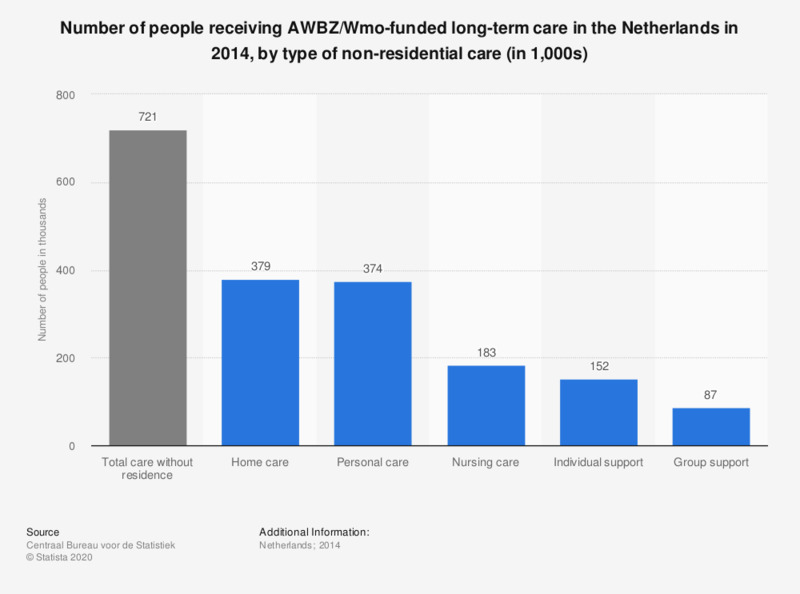 This statistic displays the number of people receiving AWBZ/Wmo-funded long-term care in the Netherlands in 2014, by type of non-residential care (in thousands). It shows that approximately 721,000 people received long-term non-residential care in the Netherlands in 2014. The source adds: "the number of persons aged 18 or older who receive care, for which a contribution is paid, but who are not resident in an institution and for whom the costs are paid under the Exceptional Medical Expenses Act (AWBZ) or the Social Support Act (Wmo)."